Tarabicos Grosso partner Mike Hoffman is featured in an interview with the Delaware News Journal discussing the College Square Shopping Center redevelopment project, which was unanimously approved by the Newark City Council. Mike Hoffman led the Tarabicos Grosso legal team in assisting owner and developer Fusco Management with the land use approvals for the mixed-use project, which seeks to revitalize the aging College Square Shopping Center with a blend of 306 modern apartments, retail space expected to include a coffee shop, restaurants, a pharmacy, and other community amenities, and inviting, outdoor gathering spaces. 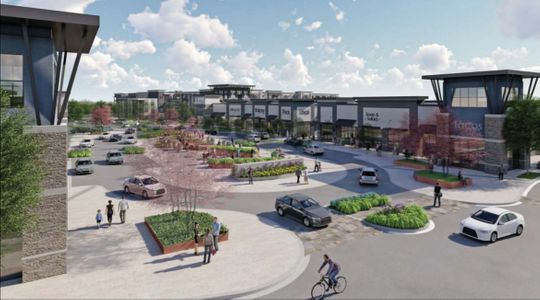 “When you speak about mixed-use, you’re really talking about creating that sense of place, that sense of there,” Hoffman said, adding that the hope is for College Square to be transformed into a vibrant community destination. See the full interview and article here, as featured in the Delaware News Journal, March 27, 2019, by Jessica Bies.